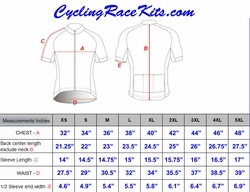 The Racing mold or pattern used for the ( Basic Sports) jersey is superb. The cut of the jersey is pure RACING. Short in the torso. Sporting options like a (Breathable) mesh polyester on all panels, Elastic band on ends of Sleeves, full invisible (YKK) zipper, 3 rear pockets, Full silicone waist band gripper, 2 rear reflector stripes and padded stitching covering on back of neck seam. 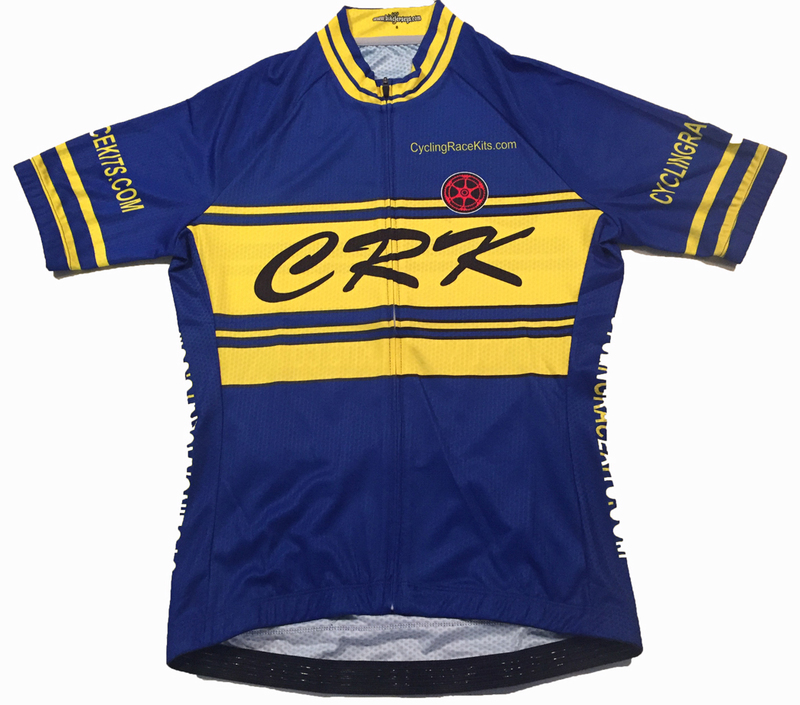 Makes this jersey one of the best values we offer for the Cycling Race Kits. Outfit your TEAM in professional grade clothing for 2018. Custom designed for your Team. Low minimums so you can look good and ride in comfort. 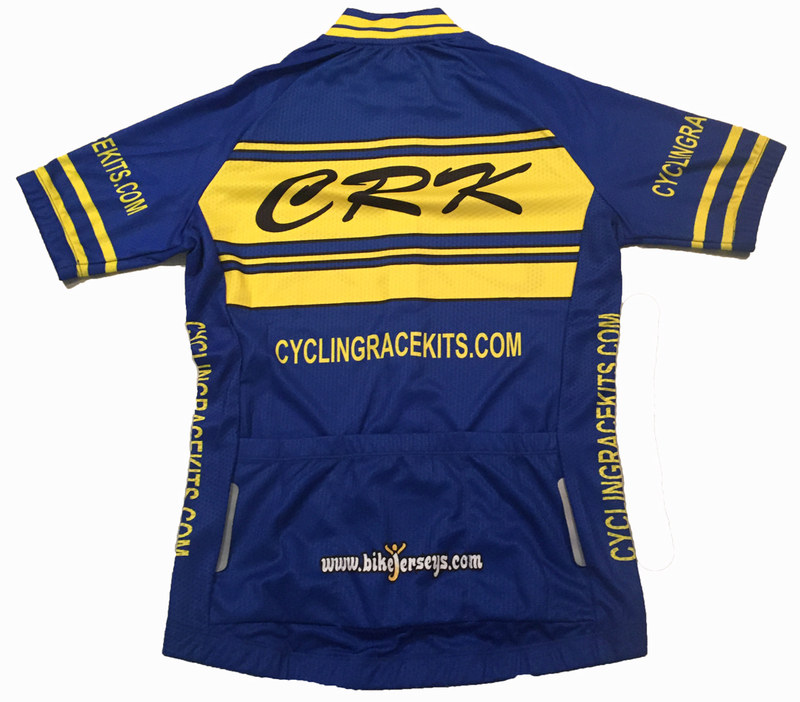 Starting at (3) kits (Jersey, Bibs, Cap, Gloves). Shoes are available as well. Carbon sole, Nylon sole, Ratchet dial buckles, Ratchet bands or Velcro Straps. Have your art work created today. And be ready for Spring 2018!!! * View Collar image for detailed view of (front panel fabric same as collar), the mesh rear panel fabric, under arm fabric, and side panel fabric we use on this grade.